From left: Marina Plotnikova, Aurelie Knoglinger, Massimo Coleiro, Angele Cortis and Emma Camilleri. 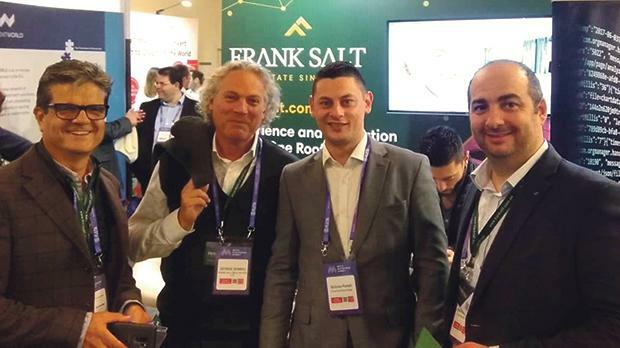 Frank Salt took part in the Malta Blockchain Summit, held at the InterContinental Malta earlier this month. The summit consisted of a series of well attended talks, round tables, networking sessions and dinners. 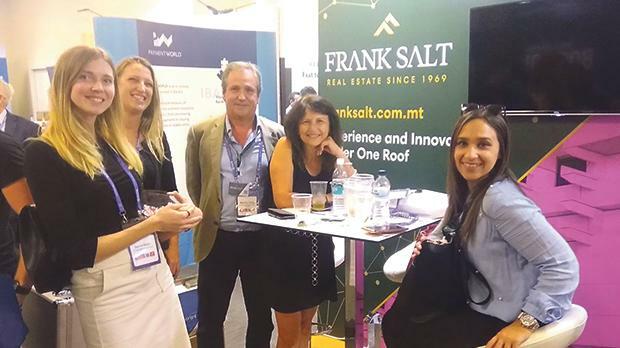 Speakers, participants, sponsors and visitors were welcomed at the company’s stand where they met up with Frank Salt Real Estate consultants to discuss the property and relocation needs of companies considering opening a physical blockchain presence in Malta and Gozo. The Frank Salt team of senior consultants and managers is steadily gaining knowledge in the field, having all attended specialised training to gain a better understanding of the industry and the impact it will have locally and across the globe. “The company’s managers and negotiator teams are being trained on specific industries such as blockchain to ensure they can talk with industry leaders. This allows the company to focus on its key goal of facilitating companies relocating to Malta seeking to buy or lease residential and commercial real estate,” said director Godfrey Swain. In addition, Frank Salt Real Estate Group is actively participating in this new industry after teaming up with Angel Labs, a US-based investor accelerator, to offer Europe’s first blockchain-focused real estate tech fund. From left: Patrick Xuereb, George Bonnici, Nicholas Portelli and Joseph Baldacchino.